A conceptual modeling grammar should be based on the theory of ontology and possess clear ontological semantics to represent problem domain knowledge in a precise and consistent manner. 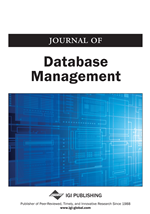 In this paper, we follow the notion of ontological expressiveness and conduct an ontological analysis of a newly-developed conceptual modeling grammar termed MibML (Multiagent-based Integrative Business Modeling Language). The grammar is developed to respond to the emerging needs for a special-purpose conceptual modeling grammar for the MIBIS (multi-agent-based integrative business information systems) universe. We assign ontological semantics to the MibML constructs and their relationship using the BWW (Bunge Wand-Weber) model. This article provides a starting point to further develop ontological principles and step-by-step guidelines to ensure the straightforward mapping from domain knowledge into MibML modeling constructs.